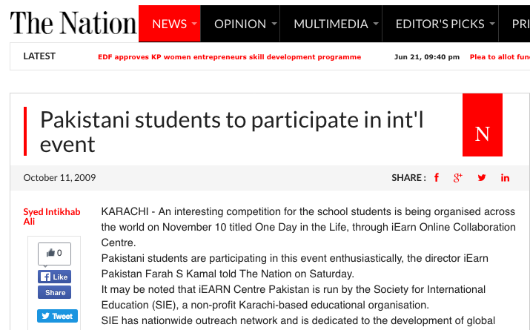 Ali, Syed Intikhab, Pakistani Students to Participate in International Event, The Nation, October 11, 2009. 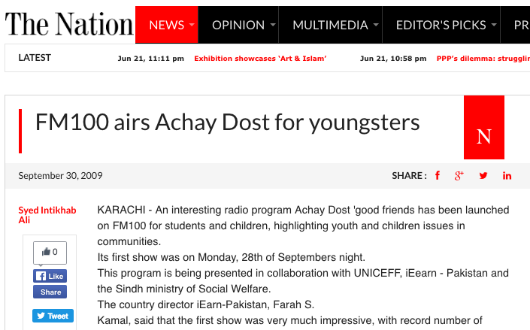 Ali, Syed Intikhab, FM100 airs Achay Dost for youngsters, The Nation, September 30, 2009. 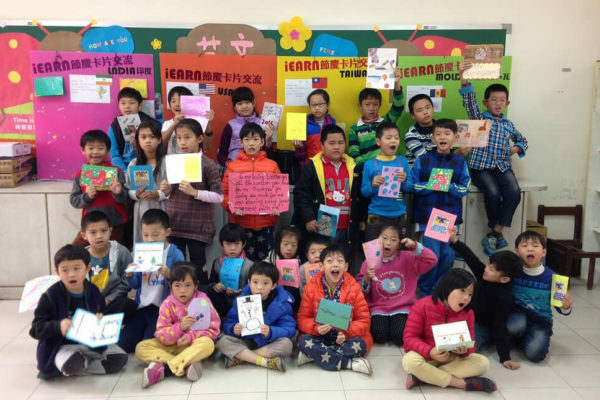 Gragert, Edwin, Partners in Success: Creating International Education Collaborations, ASCD Education Update. August 2009, Volume 51, Number 8. 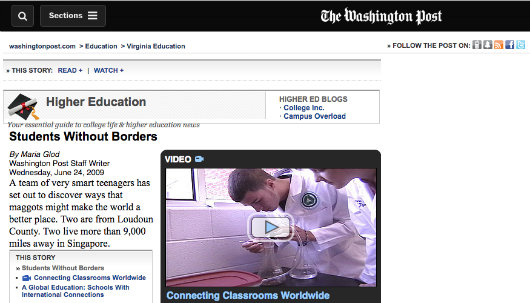 Glod, Maria, Students Without Borders:Online Communication Facilitates Global Collaboration at Area Schools, Washington Post. June 24, 2009. 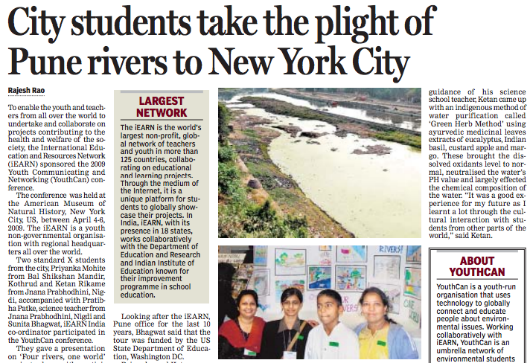 Rao, Rajesh, 'City students take the plight of Pune rivers to New York City,' Digital News and Analysis (India), May 4, 2009. 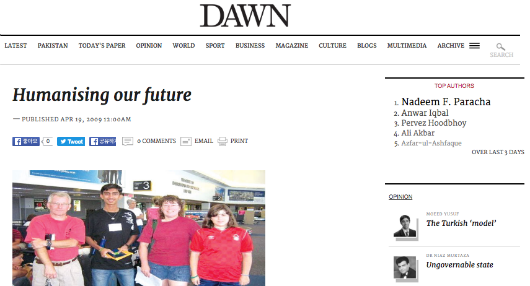 Wasti, Tahreem, 'Humanising Our Future,' Dawn.com (Pakistan), April 19, 2009. 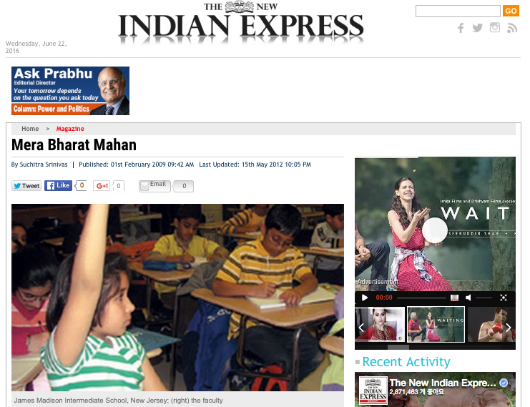 Srinivas, Suchitra., 'Mera Bharat Mahan,' Express Buzz (Chennai, India), February 1, 2009. 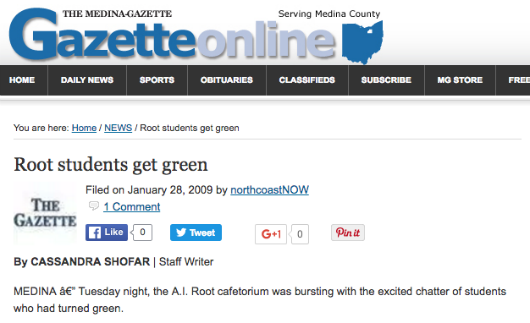 Shofar, Cassandra, 'Root students get green,' The Gazette (Medina, Ohio), January 28, 2009. Shinde, Swati. 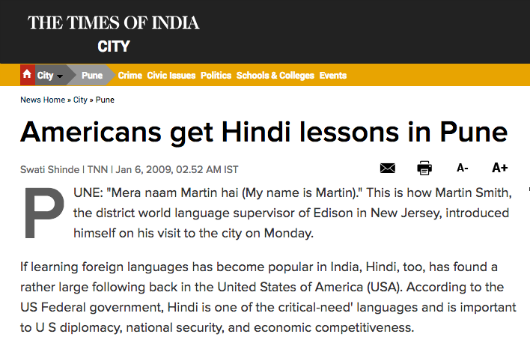 'Americans get Hindi lessons in Pune,' The Times of India. January 6, 2009. 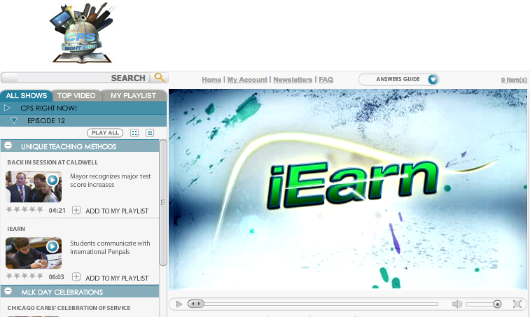 Chicago Public Schools, video 'Chicago Schools in iEARN,' (Video) January 2009. 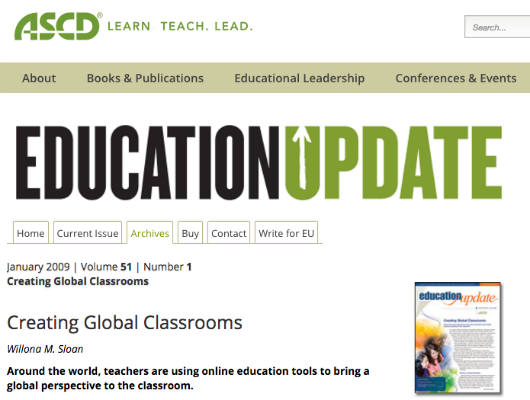 Sloan, Willona M., 'Creating Global Classrooms,' Education Update ASCD, Vol 51, No. 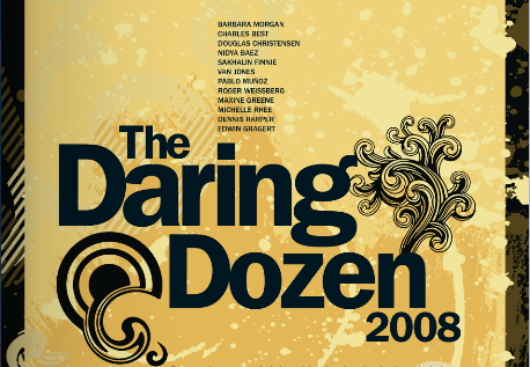 1, January 2009. Reimers, Fernando M.,' Global Competency, 'Harvard International Review,' Winter 2009. 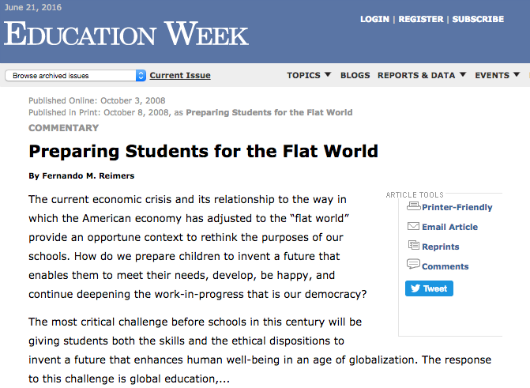 Reimers, Fernando M.,' Preparing Students for the Flat World, 'Education Week,' October 3, 2008. 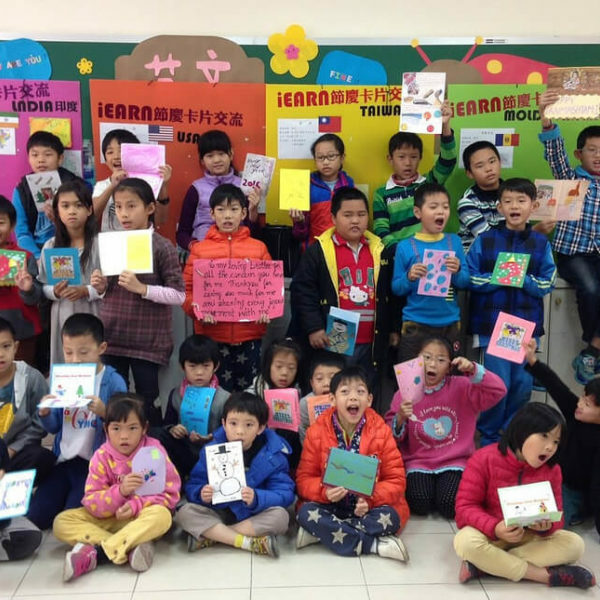 Animations made by students and teachers as part of the iEARN CATALYST Animation Workshops in Pakistan. 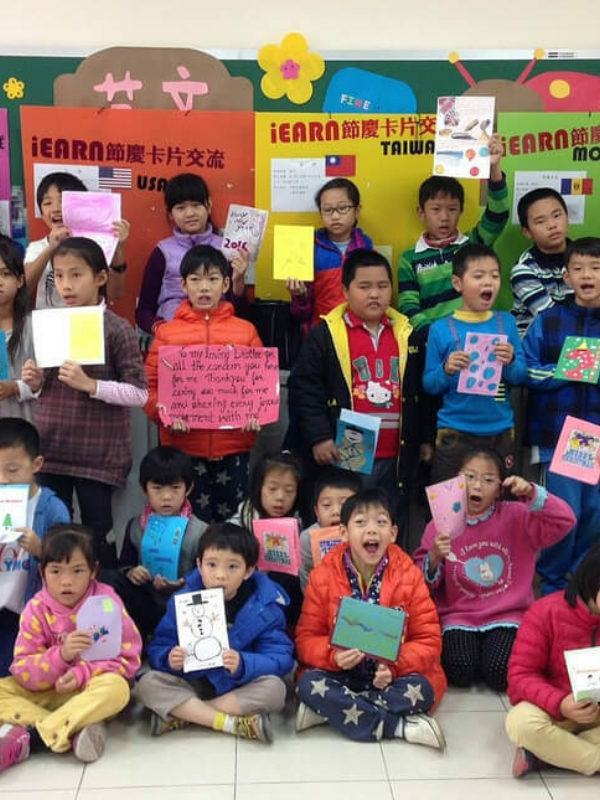 A video was produced about the CATALYST program, highlighting the role played by the Louisiana School for the Deaf. 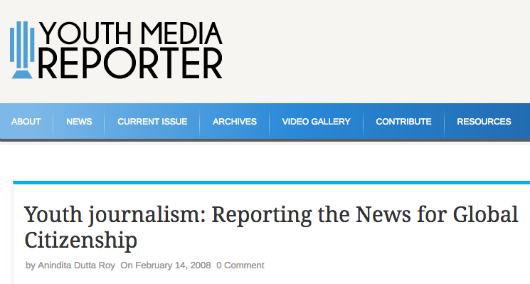 Dutta Roy, Anindita, 'Youth Journalism: Reporting the News for Global Citizenship,' Youth Media Reporter, February 14, 2008. Ibrahim, Saleem. 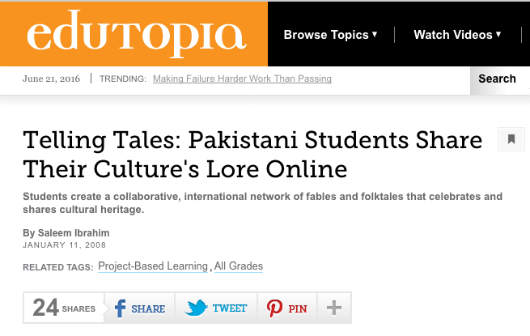 'Telling Tales: Pakistani Students Share Their Culture's Lore Online.' 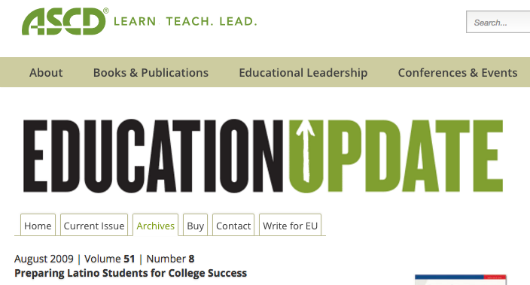 George Lucas Educational Foundation's Edutopia. February 2008.